Turning the blog over to Intern Jenny for her announcement of the winner of the cover design contest! Take it away, Jenny! 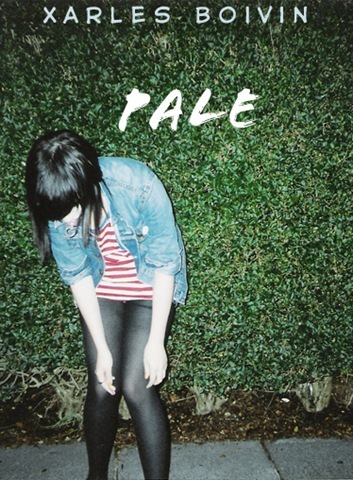 talshannon (aka Xarles Boivin) for PALE! I actually really liked both of the covers. Each one stirs up a completely different concept of what the story might be, which just goes to show how important the right cover is. Of course there were some very close runners up. HWPetty‘s cover for FORCE was compelling and MarcyKate‘s TRAVERSE had me giggling. Thanks to everyone for participating and congrats to talshannon for winning a copy of Alyson Noel’s best-selling novel BLUE MOON! Please send us an email with your mailing address so we can get your prize to you. Congrat's talshannon! I must be deficient or something because I could NOT get my image to work right-lol. I had some good words too! Bummer.